When it comes to professional references, we usually have a planned list of references whom we trust to attest our employment claims…. But what if a potential employer doesn’t ask you for reference list? Reference check can be conducted any time during the interview process. Contrary to the common belief that conducting employment check during the hiring process can harm an employee’s current employment, some recruitment experts prefer to validate a candidates’ employment records before deciding to make the final offer. This saves them from the post hiring surprises and also reduces the risk of hiring a false candidate. 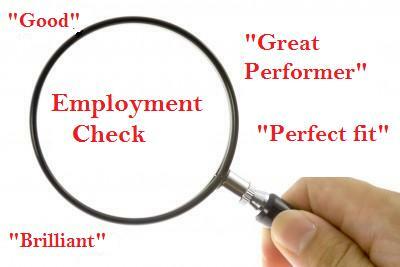 Employers might not limit themselves to the reference list you provide when it comes to employment check. Thanks to LinkedIn, for making it easy to reach your ex-colleagues, clients and managers to gather your performance feedback. Recruitment and HR pros have an exhaustive list of social media contacts and this gives them the advantage of gathering information about your past employment, performance and skills from diverse professional sources. Your job performance is as important as employment dates. When conducting past employment checks, employers don’t merely verify your employment dates, your job performance and work ethics are also verified. In their effort to hire the right fit, employers are more attentive today about validating a candidate’s past performance, accomplishments, and work attitude and on-job behavior which are crucial factors in determining candidate’s job suitability. Realizing the fact that your Manager, HR and peers are not the only ones who make to the list of your professional references, it becomes more critical to pay attention to your social media contacts. It is also important during job application, to provide substantive record of your past experience, performance and skills that can be verified.